This illustration was done to create a monster at the beginning. 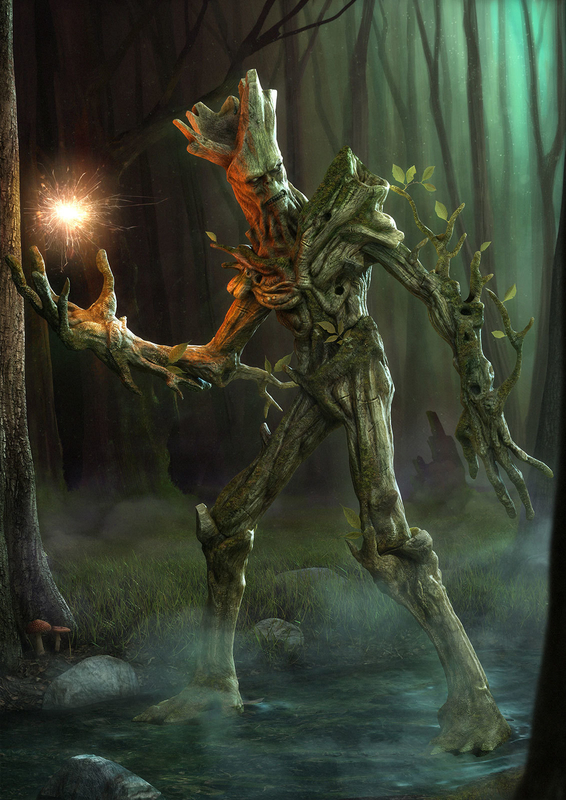 Studying the concept art in Zbrush, this character evolves to a Treeman in a fantasy concept. Finally this character is a kind of image, living and protecting the forest . This illustration was very interesting to me in learning more than 3d aspect, the digital painting and matte painting in the same time !